The Parliament's Public Accounts Committee has sought an inquiry into oil regulator DGH-led panel approving Reliance Industries' $1.529 billion plan for developing four satellite gas discoveries in KG-D6 block without an independent validation and sought disciplinary action against guilty officers. Eastern offshore KG-D6 block, once considered the most prolific in India, had courted controversies when allegations of gold-plating or inflating the cost were levelled against RIL when it had in 2007 revised estimated investment to $8.836 billion from $2.47 billion proposed in 2004, and then failed to deliver on the promised output. It brought in caution in the establishment and demands for the appointment of an independent validation when RIL in December 2009 submitted a field development plan for four satellite gas discoveries in the same block. The optimised field development plan (OFDP) was approved by block oversight panel, called Management Committee (MC), which is headed by Director General of the Directorate General of Hydrocarbons (DGH), in January 2012. "The Ministry of Petroleum and Natural Gas had directed DGH to engage a third party for validation of capex but no third party could be engaged and the MC approved OFDP without waiting for the decision of MoPNG in this regard," the PAC said in a report tabled in Parliament Wednesday. It did not agree with the ministry's submission that actual capital expenditure gets independently validated when the annual accounts are audited and the cost recovery is restricted to actual expenditure irrespective of the estimates projected by an operator. "In the opinion of the Committee, the reply of the Ministry renders the whole process of validation of estimates, plans etc. redundant. Further, when the Ministry had asked for independent validation, the direction should have been followed scrupulously and the Ministry instead of accepting its lackadaisical monitoring and taking action against the MC is giving lame excuses," the report said. The PAC felt that the decision of not appointing the third party for validation could be deliberate so that the ministry gets flexibility in the decision making. "The Committee desires that the decision for not appointing the third party for validation may be inquired into and disciplinary action taken against the officers found responsible," it said. It did not accept the ministry's submission that "the MC was to approve the development plan as per the Production Sharing Contract (PSC) timelines and since no third party could be appointed, the proposal was approved without third-party validation based on consensus decision of DGH." RIL had in July 2008 submitted a development plan for nine satellite gas discoveries for approval of the MC which it found unviable at the then prevailing gas price of $4.2 per million British thermal unit. Subsequently, in December 2009, RIL submitted an OFDP for four satellite discoveries which after considering changes in certain assumptions was approved in January 2012. 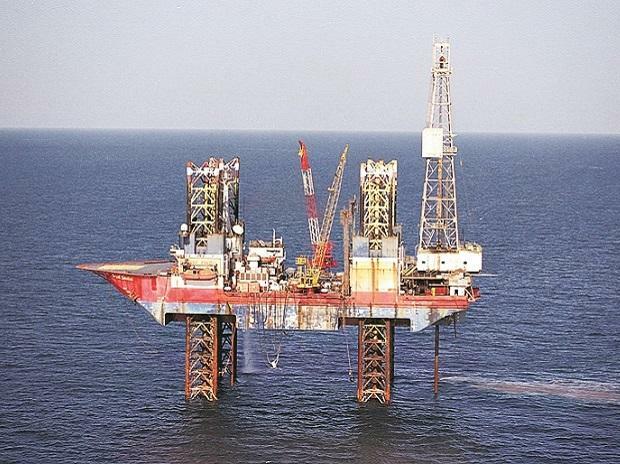 The USD 8.836 billion cost was for Dhirubhai-1 and 3 gas fields, the first two of the 19 discoveries in the block. The cost for four satellites was additional and was to produce 10.36 million standard cubic metres per day of gas by 2016-17 but the start of work was delayed because of technical and commercial factors. Gas is now expected by 2022. The PAC went into the 2011 CAG report that castigated the Petroleum Ministry for allowing RIL to retain its entire eastern offshore KG-D6 block in contravention of the PSC. The PAC submitted its first report in April 2016 in which it had stated that exploration cost on unviable finds cannot be disallowed. In the second report on the subject tabled in Parliament Wednesday, the PAC asked the government to bring out a comprehensive policy on how discoveries can be declared commercially viable. "Constant efforts may be made to cut down procedural delays especially wherever huge financial implications are involved," it said. It also wanted timelines for approvals to be prescribed and internal controls adequately strengthened. The PAC was, however, critical of inordinate delays in submission of final action taken replies on its April 2016 report. "The Committee is dismayed to note the callous attitude of both Ministry of Petroleum and Natural Gas and Ministry of Law and Justice in the delayed submission of Action Taken Replies and opine that instances of such nature should definitely be obviated in future," the report said. Government auditor CAG did not say in its September 2011 report if the capital expenditure for KG-D6 being raised from USD 2.4 billion proposed in 2004 to $8.8 billion in 2006 was unjustified or inflated.